Before I moved to Toronto, I visited a lot. I knew that I wanted to move here so I needed to get used to the city. While doing this, I also got used to a lot of hotels! People always ask me where to stay, what to do and where to eat so I figure I will use this blog to keep a record of my favourites. Best views, best restaurants, best customer service. I have stayed at this hotel countless times and each time I was reminded why I love it. 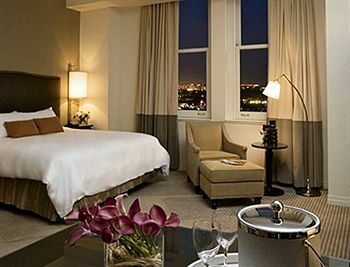 I mean, who can resist the signature Westin heavenly bed? I love a peaceful sleep. The rooms are not overly decorated or modern but they are spacious. They either feature a city or lake view. Seriously, some of the best views in all of Toronto. 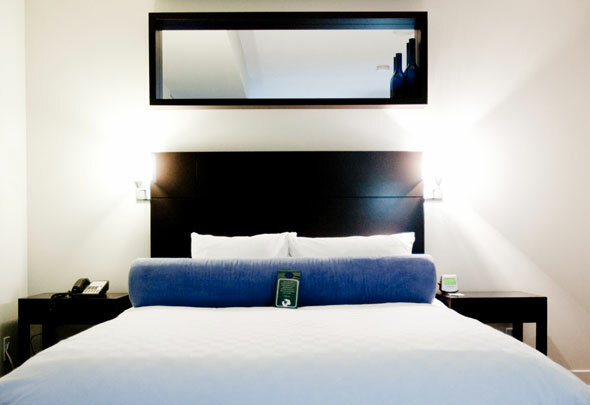 The staff is extremely helpful and the concierge is well-educated on the city and what it has to offer. If you are into recreation, the hotel houses an indoor pool, outdoor tennis court, gym, saunas and a spa. The Westin has an amazing valet staff, but self parking is also available. The Westin is just a couple of blocks from the Air Canada Centre, Rogers Centre and the CN Tower. If you are staying over in the summer, catch the ferry right outside the hotel to visit the island. It’s also the closest hotel to Billy Bishop City Airport. Be sure to checkout the rooftop Italian restaurant, Toula. Breakfast in the main room, Mizzen, is absolutely excellent. Of course it’s expensive, but the price is worth it, especially if you run into some famous guests! The Westin is well-known for housing visiting hockey teams. I’ve never had a breakfast there in season without spotting someone famous. 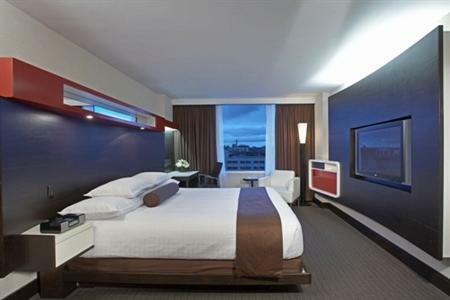 At the intersection of the entertainment and financial districts, this boutique hotel offers modern rooms and a friendly staff. I stayed at the Cosmopolitan one winter while attending the Hockey Hall of Fame Induction Ceremonies. It was a three block walk away, which was nice. My only complaint was that they were filming a movie on a nearby street which made it a little complicated to drive to and from the hotel. Luckily, the valet staff was so sweet and always updated us on which direction to take to avoid filming. I will say one thing, all the staff at the Cosmopolitan was amazing. The spa, Shizen, is to die for. They focus on traditional Western services like acupuncture, meditation and massage. I personally got a swedish massage, which was lovely. The space is very relaxing. There is also a juice bar, I found that pretty unique. The Cosmopolitan doesn’t really have a restaurant but in-house Eight Wine Bar features some market-fresh comfort food. Breakfast is served there, which is free, but there aren’t many choices. The best option is an organic bran cereal, I actually liked it quite well. 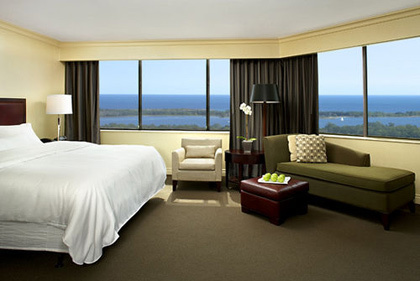 The first time I came to Toronto, I stayed at the Sheraton Centre in the financial district. It’s a little far from the main attractions, but is connected to the city’s underground PATH shopping complex. That’s one of the first things I remember, exploring the underworld! My room had an excellent city view, that’s one of the positives of staying in the business sector of Toronto. With 43 stories, the Sheraton Centre really makes you feel like you are in the heart of the city. Sadly, it was winter so I didn’t get to use the gigantic outdoor pool. The fountains were beautiful though and the lobby in general was enchanting. I remember some sort of butterfly theme, it made me feel like I was living in a fairytale. The hotel also has a huge 24-hour fitness centre, full-service spa, 3 restaurants and a cafe. Whatever you do, do not go to the nearby steakhouse called “Steak.” One of the worst experiences I have ever had at a restaurant. If you bring a car, your best bet is valet parking. Since the hotel is deep in the city, parking can be hard to find! The Hyatt Regency actually used to be a Holiday Inn, and that’s hard to believe after staying there. The renovation was outstanding, breathtaking even. Located in the entertainment district, the hotel was turned into a modern-day paradise. Although it is close to the Princess of Wales Theatre, CN Tower, Metro Toronto Convention Centre and Rogers Centre, you might not want to leave. The rooftop pool boasts spectacular city views and attracts some of Toronto’s finest. The rooms feature iPod hook ups and shower massage heads! The Hyatt also has a lobby Starbucks, 24-hour business centre and an amazing restaurant called King Street. Here you can find an extensive wine and drink list along with delicious buffet breakfast. If you don’t find what you are looking for there, go find the hotel’s other restaurant Mix Bistro for a savoury treat. Don’t be afraid to self-park at the Hyatt, it’s simple and easily accessible all day and night. I travelled to Toronto every November for the Hockey Hall of Fame Induction Ceremonies, as I mentioned before. I was always on the lookout for nearby hotels, considering I needed to be at the HHOF four days in a row. I tried the 51 story One King West and agree that it is a good downtown location. It’s also near the Eaton Centre, Union Station and Rogers Centre. The rooms were a little outdated and a standard room was not a good fit for three people. However, it did include a kitchenette. The hotel has an indoor swimming pool, spa tub, sauna and rooftop patio. If you are hungry it has a lobby bar and their own restaurant, Bistro on King. If I recall it was very good pub food. They do not offer valet parking, which I thought was a nightmare. At least they have their own parking garage and helpful bellhops. What’s your favourite Toronto hotel? Tags: air canada centre, best hotel toronto, best hotels canada, best hotels in toronto, best hotels toronto, best lake view toronto, best toronto hotels, bistro on king, cn tower, cosmo hotel toronto, cosmopolitan hotel, cosmopolitan hotel toronto, eight wine bar, eight wine bar toronto, favourite toronto hotels, hhof, hockey hall of fame, hockey hall of fame induction ceremony, holiday inn toronto, hotels in toronto, hotels near acc, hotels near air canada centre, hotels near billy bishop, hotels near cn tower, hotels near eaton centre, hotels near hockey hall of fame, hotels near princess of wales theatre, hotels near rogers centre, hotels near toronto airport, hotels near toronto convention centre, hotels near union station, hyatt regency, hyatt regency toronto, king street social, king street social toronto, king street social toronto reviews, lobby bar toronto, mix bistro toronto, mizzen restaurant, mizzen toronto, one kind west hotel toronto, one king west hotel, one king west hotel and residences, path shopping complex, princess of wales theatre, rogers centre, sheraton centre, sheraton centre toronto, shizen spa, shizen spa toronto, steak steakhouse, steak toronto, Toronto, toronto convention centre, toronto hotel reviews, toronto hotels, toronto ontario, toula italian restaurant, toula toronto, toula westin harbour castle, westin bed, westin harbour castle, westin harbour castle reviews, westin harbour castle toronto, westin heavenly bed, westin toronto. Bookmark the permalink.